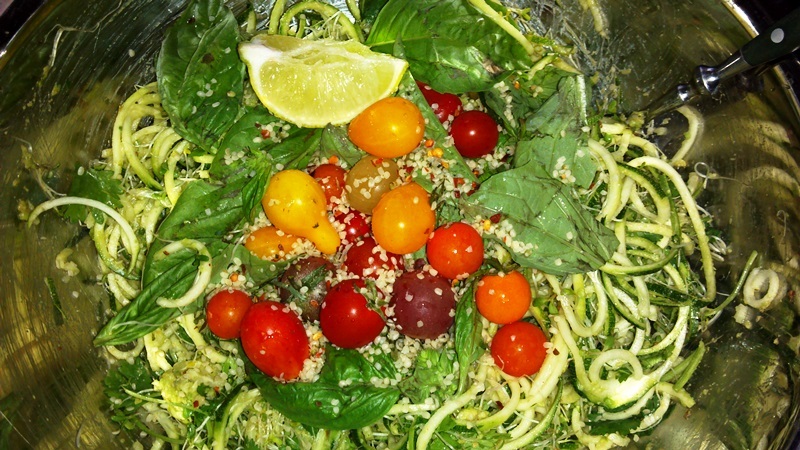 A perfect summer salad, made with fresh basil, zucchini, sprouts and cilantro, tossed with a lemony avocado sauce and topped with a selection of cherry tomatoes and hemp seeds! Sooo good! In a small bowl, mash the avocado, nutritional yeast and pepper flakes together. Squeeze the like juice over and mix in. If the lime is large, start by using half instead of the whole one. 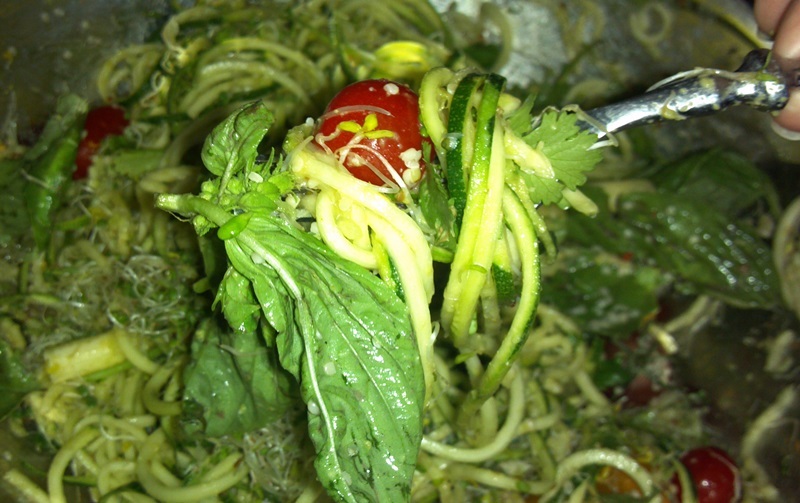 You can always use the rest to squeeze on top of the salad later. Toss in the sprouts and cilantro, then mix in the avocado lime sauce. 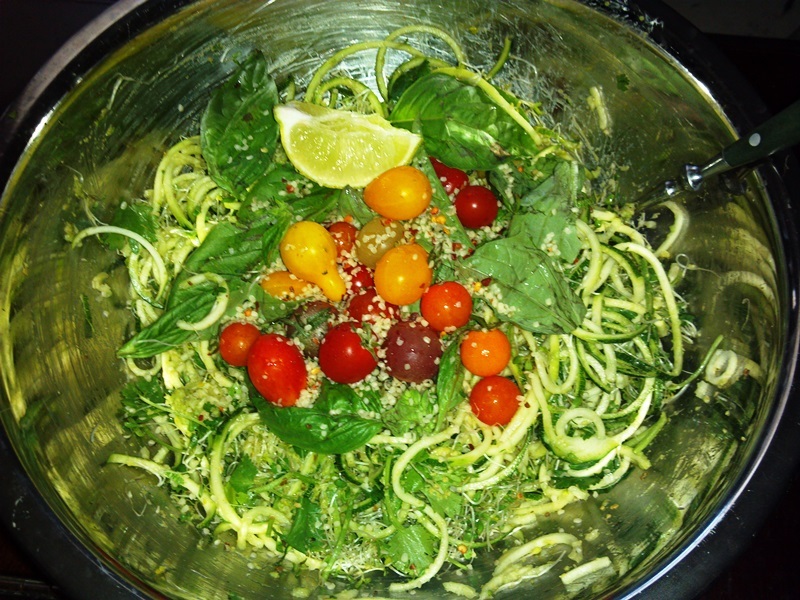 Top with the fresh basil, cherry tomatoes and hemp seeds. If you have extra lime at the end like I did, gradually add it into the salad until you get the desired taste. That’s it! An easy, fresh salad, bursting with color and flavor! Have a bite! 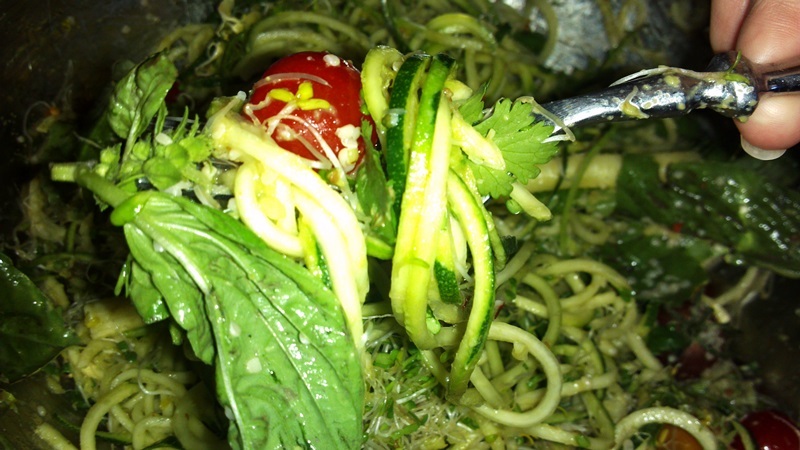 The fresh basil mixed in with the greens and the avocado lemon sauce is sooo good! Reblogged this on C H E F B A B A J O Y .